Each Bible Lesson begins with Bible passages that introduce the lesson. 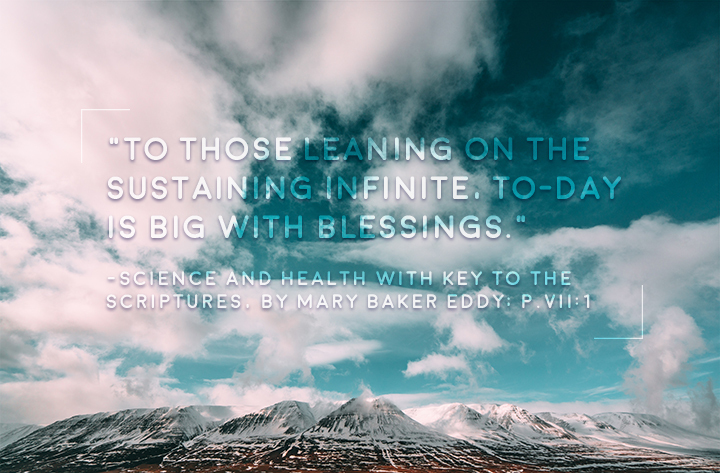 The sermon contains verses from the Bible and Science and Health with Key to the Scriptures by Mary Baker Eddy. Lessons are studied during the week. On Sundays they comprise the sermons read at Churches of Christ, Scientist around the world. Bible Lessons are available in our Christian Science Reading Room in a Citation Edition (three months of lessons with references for reading it directly from the Bible and Science and Health) and a Full-Text Edition (a monthly publication with the complete text of that month's lessons).